Sometimes we are at odds with others-and so are our students. As Catholic educators, we might not want to call it “fighting”; that goes against our posture of nonviolence and respect for others. But what we really need to teach is nonviolent “fair fighting”. There are times when we may need to defend our beliefs when others misunderstand them or even attack them. Students also need courage to stand against the crowd when the crowd is choosing wrongly. 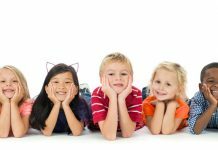 From simple playground altercations to upsetting referee calls to heated exchanges with parents, “fighting fair” is required of us as Christians. How do we do it and teach it? Your witness is the first lesson. How do you respond to those who are dismissive of your beliefs? How do you argue your position when a colleague, principal, or parent has an opposing view? Listening is a key to any fair fight. Does each of us understand the other person’s perspective and the emotion that might be present? Respect is a second key. In our words and behaviors, are we demonstrating respect and addressing the issue rather than attacking the person? Prayer is another key. 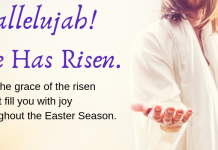 Have we prayed about our position and prayed to face our opponent grace-fully? TO DO» Today, violence seems to be the only way some people know how to fight. You play a key role in developing skills for fighting fair and thus contributing to a more peaceful world. Remember that, the next time you break up a fight! TO PRAY» Prince of Peace, remind me always to fight fair and to teach my students to do the same. DR. CAROLE EIPERS‘ teaching career has spanned many years and includes serving as Director of the Office for Catechesis for the Archdiocese of Chicago and President of the National Conference of Catechetical Leadership. 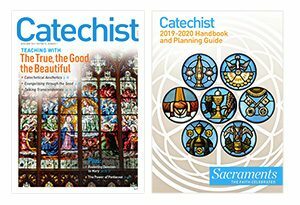 She is the author of Catechist 101: Wade, Don’t Dive, from Twenty-Third Publications. 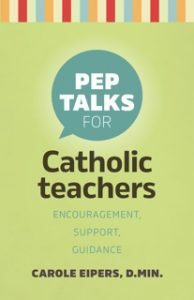 Excerpted from Pep Talks for Catholic teachers, by Carole Eipers, D.Min. 2016. Published by Twenty-Third Publications. Used with permission. All rights reserved.